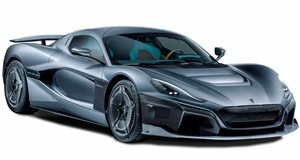 Rimac isn’t letting Richard Hammond forget about his Concept One crash in a hurry. One of the standout reveals at this year’s Geneva Motor Show was undoubtedly the 1,914-hp Rimac C_Two, a successor to the Concept One. Rimac’s latest electric hypercar stole the show, boasting a mesmerizing, Tesla-beating 0-62 mph time of 1.85 seconds, a 258-mph top speed, and Level 4 autonomous technology. Rimac arguably has Richard Hammond to thank for generating vital publicity for the Croatian company after he crashed the Concept One at a hillclimb event in Switzerland while filming for The Grand Tour. Rimac has just set the new gold standard for trolling in the car industry right there. Hammond’s response to Rimac’s blatant ridiculing? “I’m delighted. I’ve always wanted to have a real influence in car design. And now I have,” he told DriveTribe. Now it just gives Clarkson and May even more material to mock Hammond with when they eventually get behind the wheel of the C_Two in The Grand Tour.